This Hoffman’s Woodpecker was photographed on a spring birding trip to Costa Rica, at the southern tip of the Nicoya Peninisula. There he was, up in the tree; I didn’t see babies in the nest but I’m guessing they were in there. 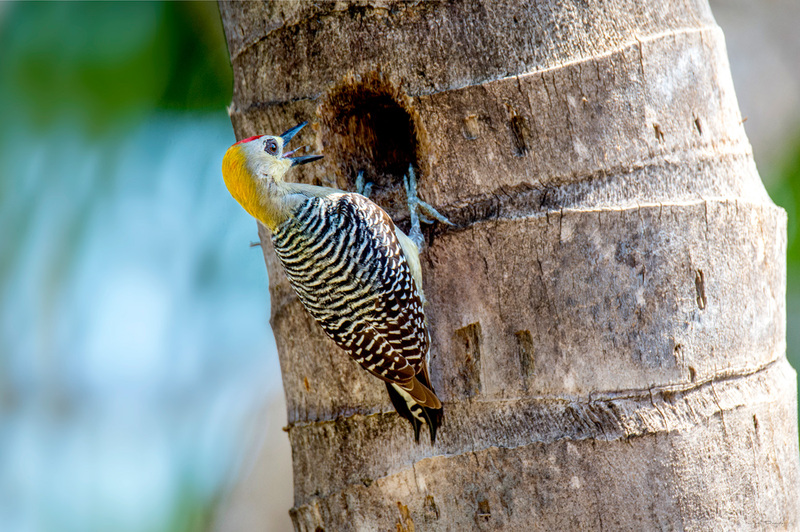 The Hoffmann’s Woodpecker is not perceived to be threatened by deforestation due to its ability to adapt itself able to adapt to human-modified habitats, such as semi-open wooded country rather than dense forest.